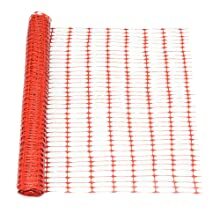 The Abba Patio Guardian Safety Netting is made from recyclable plastic material, makes your life more environmental protection and healthy. 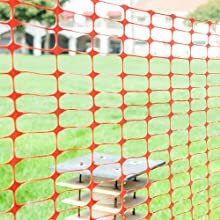 This safety net is suited for use around utility work, construction sites, or in crowd-control applications. It's a highly noticeable warning barrier for crowd control use at sporting events, festivals and other social gatherings. 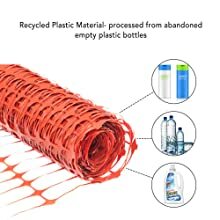 Great for protecting your instant skirting around gardens, seeded lawns, newly laid concrete sidewalks, pool, or freshly painted surfaces form toddlers. 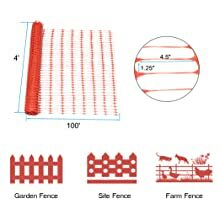 This durable netting is perfect unit for those who lack the time or funds for building a traditional fence. Just as simple to remove, roll up, and stow away for future use.